If you were part of the Dreaming For Christian Women webinar you heard me share a story about how I loved to sing. Then as a teenager, that dream was crumpled up and tossed aside. It took me many years to want to sing again. Then, in my 20s, I found out I had a growth on my thyroid. There was talk of surgery, biopsies, and cancer. As I was going through testing I learned a co-worker had thyroid surgery. In the surgery they nicked her vocal cords and her once trilling, melodic voice was now raspy and limited. I started making promises to God. If I could keep my voice, I would sing. Not for an audience or for fame, but just for him, because he made me to enjoy it and I can praise him with it. It was something I knew I wanted to do, something I had agreed to do, but I was still waiting on permission from God to do it, even eight years after making promises to God. It seems too simple. I want to blog/sing/paint/sew/anything. I simply enjoy it. So why do I feel like I need permission to do it? Why do I get wrapped up in my motives, in the time it takes away from my family? Why do I treat this interest like a burden? Why do I doubt that this can be a way God made me and that I can simply do it and enjoy it? Why do I doubt myself that I could manage this dream without it overtaking my motives and my ego? We all have a messy relationship with those things we would enjoy doing with our time, our energies, our talents. We are all walking around holding this little lamp in our hands looking for a stand to place it on, looking for permission to let it shine. Is it ok if I put my lamp here? Is it too bright? Not bright enough? Should I move it? Of course, there can be a lot of pressure with ‘letting your light shine’. It feels like we have to perform or prove the worth of ‘our light’. But, the pressure isn’t on us. We shine because Jesus is the light of the world and he is in us. We just have to let the world see that, unhindered by our limitations. Letting your light shine is about being full of Jesus’s love and hope and letting that security and joy shine in all we do, with all we are. Because God made us on purpose. He filled us with unique talents and gifts and interests and we can trust them. If we ask God to line our hearts with his will and desires, he will do that. If we then start waiting for permission to pursue these gifts and dreams we fail to see that the existence of the gifts and dreams are the permission. Besides, how would ‘permission’ change things? We all have things we know God is calling us to do, that we flat out ignore. How many signs would it take for us to believe that we can move forward in pursuing our interests if they are being done in a way that allows us to love our God first and love on others? When we unpack what is holding us back, we might see lots of fears and doubts. As a wise friend has told me, ‘the issue is never the issue, the issue is trust’. Where do we need to trust God more? Ourselves more? Our friends and family more? 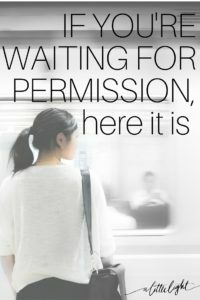 Maybe when we unpack this even more we see that we might not be waiting on permission from God to do what is in our hearts, maybe we see that God is waiting on permission from us to let him use us and our gifts just as he put it in our hearts to do. I’ve had my share of failed attempts at pursuing my dreams, using my gifts. I could say that I was ‘unsuccessful’ because I didn’t wait on permission from God to chase my goals, but that isn’t true. I was being obedient, I was moving forward. I was learning what I was good at and what I wasn’t, I was being developed. I was differentiating between waiting on God through tough seasons and honouring who he made me to be – in all seasons. I was understanding that it wasn’t about ‘worldly success’, which I pursued at the beginning. I was realizing that it wasn’t about what everyone else was doing and how I needed to fall in line with them, it was about me being authentic, humble and wholehearted with who I am. Most importantly I began to grow my faith by relying on God’s grace. If was ever off-track, he would be gentle and merciful on me. He made me, he is for me – and I cling to that truth every single day. It has taken me years to become aware of the need to be and the bravery to state who I am and the things I love and the things I don’t love. I can do those things. I don’t have to be a #ladyboss, or #maketodayawesome or wait to put something online until I have a flawless and adored platform (because I bet that is no fun anyways). I just need to acknowledge that my God created me to be me, and I don’t need to doubt him or myself. I can start where I am with what I have. I can sing to my children. I can write in a journal. I can instagram my waffles. Maybe tomorrow I will sing with my girlfriends. Maybe tomorrow I will write a blog post. Maybe tomorrow I will eat more waffles and tell the world about it, because waffles. Who knows where little steps, tiny ways to learn and develop and get closer to God, will take me? 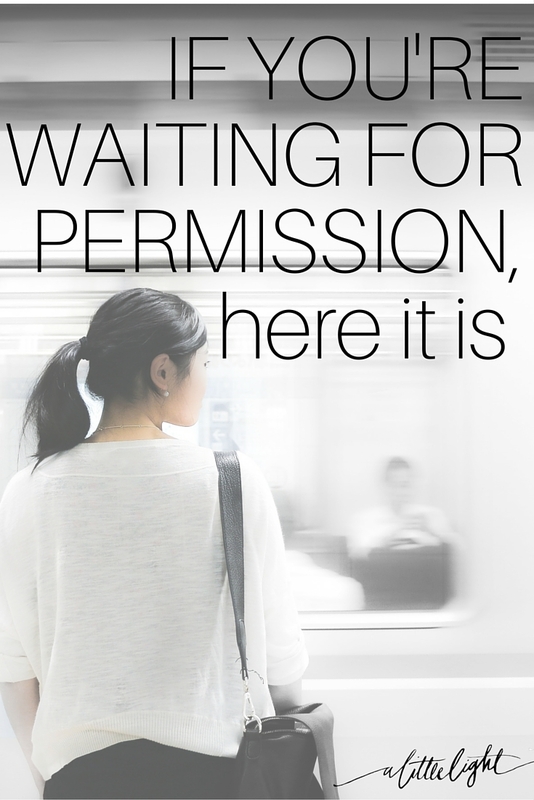 I do know one thing – I, and you, and we don’t need permission to start. 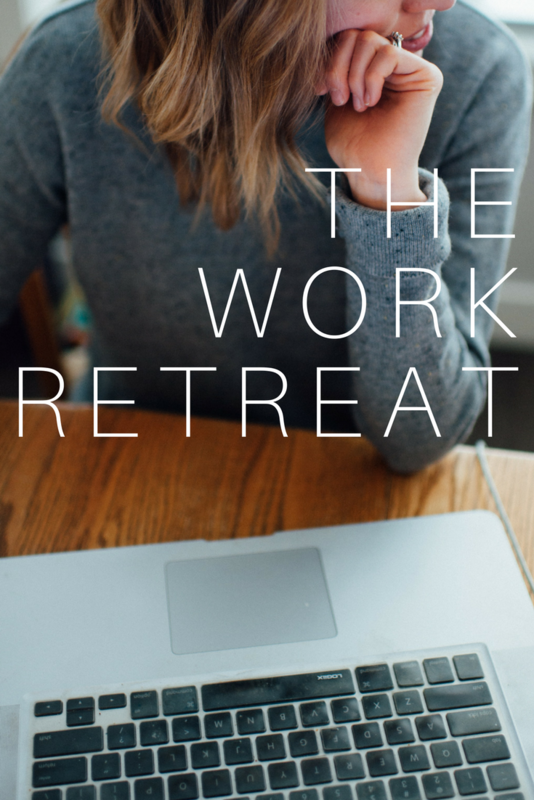 A Little Light is a community for Canadian Christian women looking to use their social media and their dreams with passion and purpose, to glorify God.